Welcome to our webpage, this page is maintained by the Parents Association of the School. Throughout the year we will try and keep all parents & guardians of children attending the school up to date with events being organised by the committee. The Parents Association have met and we have some updates, please see below!! We welcome any feedback/suggestions or volunteers for any events for the year ahead - if you would like to touch base with us then please send an email to parentsassociationsb@gmail.com or contact us directly at 085-1486684 and we will respond as quickly as possible. As always, all correspondence will be treated in a confidential manner. An additional number of people also make up the committee with the above officers these are Aisling Cahill, Breda Kelly, Carol Griffith, Caroline Geoghegan, Claire Curtis, Jean Mahon, Joanne Bradbury, Kathryn Norris, Lavina Sunderland, Maria Ginnelly, Martina Blake and Valerie Ryan. We would like to take this opportunity to say a huge thank you to all those who came to the A.G.M. and to extend a warm welcome to all our new committee members and also to our teacher representative, Mrs Deirdre Hoctor. 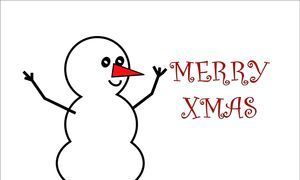 The Scoil Bhride Annual Christmas Fair organised by the Parents Association takes place in the school on Sunday 9th December from midday until 2:30pm. Once again there will be a monster raffle on the day including an Apple iPad, Cash Prizes, hampers and much much more! The Parents Association would like to take this opportunity to thank all the businesses in the town who are generously supporting our requests for sponsorship and donations. Tickets for the raffle will be on sale at the fair and also in Kilcullen town on Saturday 1st December. We have a limited number of stalls available for arts and crafts stalls supporting local home industry in the area – if you are interested in booking one of these stalls please send an email to parentsassociationsb@gmail.com and a member of the committee will contact you with all of relevant details. The midterm break is fast approaching, we hope everyone enjoys Halloween!! This year we see the return of the Halloween Disco, it will take place on Thursday 25th October from 5pm to 6pm!! €5 per child and all will go home with a treat!! Please note following on from previous discos with poor turnout at the Senior disco we have decided to hold one disco rather then a Junior and Senior, this means the disco will be busy but lots and lots of fun, we hope you can understand that we are volunteers trying our best to make the discos memorable for everyone! County Photos visited the school and by now everyone will have received their proof, they really did a great job, all proofs looked absolutely fantastic! Please return all orders to school as soon as possible with exact money in the envelope with the proof card attached as these go directly to County Photos for the final print, great excitement to see the final pictures! Homework club has started, this takes place on Tuesday and Wednesdays each week at a cost of €6 per class, this is a really great group and it offers children support doing homework from teachers! Scoil Bhride will be collecting for the Shoebox appeal this year, if you would like to contribute there are leaflets available with further information on whats appropriate for the boxes etc in the reception area, please return all shoeboxes by 10 November. Enjoy the remainder of October! If you have anything you would like included or have any suggestions for the PA, please do not hesitate to contact us!! At our coffee morning in June Joan O'Byrne Chairperson and Carol O'Beirne Treasurer of the PA both presented a cheque to Principal Anne Flanagan on behalf of the Parents Association. This amount was the result of the fundraising efforts from the Christmas Card Project and the Christmas Fair and the very successful Easter Disco to name a few!! A huge thank you to everyone that helped or contributed in our fundraising efforts, it was tremendous once again!! The following is a list of local childcare facilities which provide both drop off & collection services to Scoil Bhride. Open at 7am for breakfast/drop off at school. Collect from school at 1.40 & 2.40. Provide hot meal, supervised homework, extra curricular activities. Provide hot meal, supervised homework. Open at 7.30am for breakfast/drop off at school. The Education Act 1988 provides legislation for the existence, recognition and purpose of a Parent Association. 1. To work in partnership with the Principal, Board of Management and the whole school community for the betterment of the children of the school. 2. To support and empower parents to be active in the best interests of their children’s educational lives. 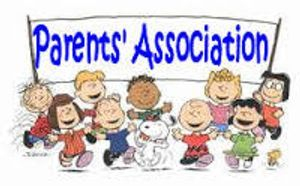 All parents of children in the school are members of the Parent Association. These parents elect a committee to work on their behalf from one year to another. "Ar Aghaidh Linn Le Chéile"